Mobiles phones have become a necessity rather than a luxury and have fully penetrated the market. Many mobile companies have recently started producing affordable varieties of mobile phones and smartphones, making the technology accessible for all. Infinix Mobility, is a Hong Kong-based smartphone manufacturer that was founded in 2012 by Benjamin Jiang The company has research and development centres in Paris and Shanghai. Infinix mobile phones are manufactured in China. They conducted thorough research before penetrating the market and developed exclusive manufacturing and expansion strategies designed for customers. By translating advanced technology into brilliant products, Infinix Mobility has risen to great heights and achieved many significant milestones. The company has always put immense amounts of importance on providing the best customer experience by striving to ensure their customers have access to the most environmentally suitable products. By incorporating all the latest innovative technology, Infinix mobile phones come in all sorts of basic and smartphone varieties, giving the consumers the best products at the best and most affordable prices. Infinix has gone onto become a major player in the mobile phone industry and consumers prefer Infinix phones due to high quality, high performance, powerful recreational function and an excellent network of service support. In this day and age, for mobile companies to succeed, constant innovation, creativity and customization of smartphones is of utmost importance. Infinix mobiles have constantly provided the best quality and service along with new and customized products to suit local demands and needs, giving many other vendors a run for their money. The Infinix mobile brand is actually one that suits any personality from the complete corporate individual to the free social youth. The Infinix race lite looks, feels and performs exactly what you dream of, the race is never so closed to youth, the race bolt has the sleek look that makes you never give up, race eagle is for those who make things happen, this is the perfect model of the infinix brand, and then the infinix x700 Joypad is for those who are looking for sophistication, it will go with you anywhere in the world of business and social network. 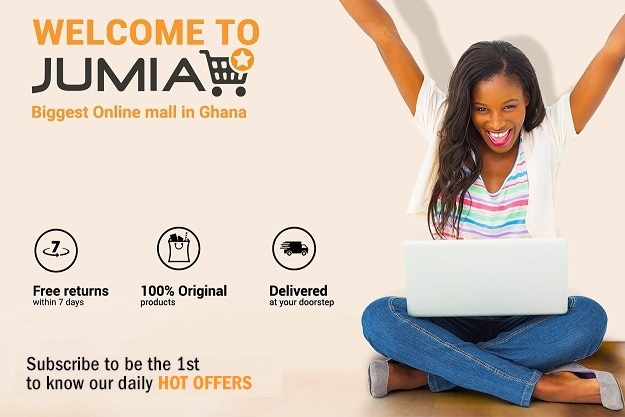 You can find all the latest Infinix phones online on Jumia Ghana. Various vendors on Jumia feature a vast variety of all Infinix mobile phones, providing a lot of options for consumers to choose from. Check out our collection of Infinix Smartphones including: Infinix Hot 6, Infinix Zero 4 or the Infinix Zero 5.